Lights Out! Sea Turtle Dig The Dark. Turn off beachfront lights after dusk during nesting season (May 1.-Oct. 31), and remember indoor lights can also be harmful. Remove beach chairs, tents and other equipment at day’s end. These items can entrap nesting females and emerging hatchlings. When boating, look out for sea turtles inshore and offshore. Beach walkers are encouraged to join SCUTE’s reporting network. Call 843-237-9821 or 843-237-4440 for more information. Call your local Santee Cooper retail office to have your outdoor lights shielded. Property owners are encouraged to use turtle-friendly lighting. Visitwww.dnr.sc.gov/seaturtle for a list of products. Experience the picturesque riverfront of historic Conway from a quiet cruising yacht or river boat. Soak in the peace and serenity. Capt. Jim’s Scenic River Tours takes you on a history and nature adventure. Travel back in time when Native Americans inhabited the land along the Waccamaw River. See a 19th century warehouse once used by steamboats that plied the dark and mysterious waters, as well as historic riverfront homes of Conway’s earliest citizens. The river banks are lined with cypress trees, ancient live oaks, birds, and the American Alligator. Visit www.RiverMemories.org for more information or call (843) 903-1 578 for information of the Kingston Lady Riverboat. If you prefer a cruise that is a little more adventurous but still want a calm, smooth ride then a cruise on the scenic Intracoastal Waterway. The Intracoastal Waterway is buzzing with boaters and jet skis and is lined with shops, restaurants, and beautiful homes. The Barefoot Princess offers sightseeing, dinner, and sunset cruises. Visit www.mbriverboat.com or call 843-272-2140 for more information. Some major threats to sea turtles are illegal harvesting, habitat encroachment, and pollution. These are only some of the things sea turtles must fight against to stay alive. Natural Predators: The sea turtle must be protected from natural predators from the time the eggs are laid all the way through adulthood. Animals such as raccoons, foxes, ghost crabs, and dogs dig their way to a sea turtle nest buried about two feet under the surface. Harvest for Consumption : Sea turtles have spiritual or mythological importance in many cultures around the world, this has not prevented humans from consuming their eggs or meat. In many costal communities, especially in Central America and Asia, sea turtles are considered a food source. During the nesting season, hunters comb the beaches at night looking for nesting females. Often, they will wait until the female has deposited her eggs to kill her. Then, they take both the eggs and meat. In some countries, sea turtle eggs are prized as an aphrodisiac. Fishing Activities: Commercial and recreational fishing cause the death of many sea turtles. Sea turtles drown after getting entangled in fishing nets and fishing line. They take the bait used by long-line fisheries and drown while being dragged behind fishing boats. Boat Strike: Any vessel can strike turtles and boat strikes are a common cause of injury and death among sea turtles. Coastal Development: With the encroachment of hotels, parking lots and housing along nesting beaches, female turtles are forced to use less then optimal nesting habitats. Newborn hatchlings find their way from nest to sea using the light of the moon. Artificial lighting, such as street lamps and hotel room lights, confuses these hatchlings, sending them landward in the wrong direction. This gives them little chance for survival due to dehydration, exhaustion, predators and automobiles. 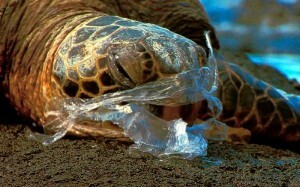 Pollution: Pollution such as marine debris and oil, is another common threat to sea turtles. Ingestion of marine debris can cause blockages, affecting digestion and breathing. Entanglement in items such as fishing line can prevent animals from surfacing to breathe, and slows them down, making them more vulnerable to predators. Click here to see what you can do to help. Prince George Winyah Episcopal Church offers their annual Plantation Tours in the spring. The dates are set for March 22 & 23, 2013. Many of the plantations and town houses are privately owned and can only be seen by taking this tour. A different group of homes is on tour each day. The event is sponsored by the Episcopal Church Women of Prince George Winyah Parish. Walk through alleyways of live oaks, magnificent estate houses and magnificent gardens. This is one weekend you will not want to miss. Houses will be open from 9:30 a.m. until 5:00 p.m. on Friday and Saturday. They are suggesting a full day for each day’s tour. Histories and maps showing the routes for the day are provided with tickets. Hosts and hostess will be happy to answer any questions you may have concerning the houses that are open. Visitors provide their own transportation. Only cars and vans are allowed on the tours because of the many low-hanging oak limbs and soft roadbeds. NO BUSES, please. All Visitors are requested to wear low heeled shoes for their own comfort, as well, as for the protection of the old floors and rugs. You are also reminded that no photographs may be taken inside homes. Visit the Prince George Winyah Episcopal Church website for ticket information.